The HELLENIC ASSOCIATION OF POLITICAL SCIENTISTS at the international level. 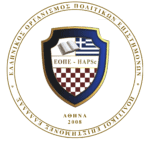 a) is the first Hellenic organization which is member of the United Nations Academic Impact (UNAI). UNAI has the following Greek members: four state Universities (EKPA, PA.MAK., Panteion, ATEI of Athens), the Hellenic Association of Political Scientists and two other educational institutions (The American College of Greece, ICBS Business College). b) is in Special Consultative Status with the United Nations Economic and Social Council (UN – ECOSOC). c) is associated with the United Nations Department of Global Communications (UN – DGC). d) is the first and only Greek member of the Academic Council on the United Nations System (ACUNS). Responsible experts for HAPSc’s representation at ACUNS are: the president of the Association, Mr. Symeon Sidiropoulos PhD Cand., the Scientific Director Dr. Theodoros Fouskas, the General Secretary Mr. Stavros Tassiopoulos PhD Cand., the General Director Mrs. Vasiliki Tsami, the Director of International Relations Mrs. Iridas Efthimiou PhD cand. and the Deputy General Director, Mr. Antonios Gourlias. e) remains the only representative of Greece in the International Coalition for the Responsibility to Protect (ICRtoP). f) is a member of the Child Rights Information Network (CRIN). g) is a partner in the annual Peace Week conference held in Geneva at the UN facilities (Geneva Peace Week – Palais des Nations). The main organizers of the conference are the Geneva Peacebuilding Platform, the Graduate Institute of Geneva, the United Nations (United Nations Geneva Office) supported by the Government of Switzerland. In the context of these collaborations and given its consultative status as an organization, HAPSc intervenes in open consultations either through written or oral reports expressing its views. It also forms or participates in partnerships with other international organizations for the benefit of its planned goals.